At Ivory Egg, we are passionate about buildings that delight the people inside. Many aspects need to come together to achieve this in the 21st century, one of them is building control. Getting it right is a challenge, requiring a breadth of knowledge and ability beyond most design teams. We believe system integrators are the key, only they can pull together all the diverse technology of a modern building and create something cohesive, unique and exciting. Our aim is to help your business achieve this for all of your clients by supporting you throughout your journey. With over 10 years of experience and working closely with system integrators and industry professionals, we pride ourselves on having the most complete technical understanding of KNX in the industry. We are independent and continue to contribute to the phenomenal growth of KNX. With offices in Australia, New Zealand and the UK we have an international network and contacts and hence are a valuable partner all over the world. As a leading KNX distributor and certified training centre, we are in the unique position of being able to support you with far more than just products. Whether you are experienced with KNX or just starting out, we will support you throughout your KNX journey and at any stage of the project; from specification all the way through to product troubleshooting. 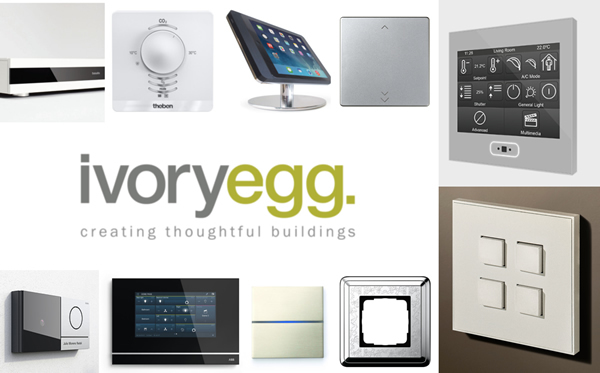 At Ivory Egg we are able to teach a wide range of content, much more than the standardised KNX courses, because we work closely with our customers. Building relationships with our customers helps us to support integrators throughout their KNX journey, build their skills and expertise, which in turn helps us to inform and define the course material we teach. Studying at one of the Ivory Egg training centres in Australia, New Zealand or the UK gives you the opportunity to meet our technical specialists, discuss any project requirements, tour our showroom and experience live product demos. With our dedicated training and support team, we ensure you get the best start. We will not only supply you with the required skills and more, but support you throughout your entire KNX journey assisting you at any stage of a project, including on-going technical support. At Ivory Egg our KNX training focuses on real life project situations. This allows you to gain as much useful experience as possible that can be implemented on your installations straight away. With our equipped training cases and expertise, you will leave with more than just how KNX works. You will have the confidence and competence to complete a project.